Rich DeNicola currently serves as Chief Operating Officer for Better Homes and Gardens® Real Estate, responsible for domestic and international business operations, financial management, franchise performance consulting, network engagement, and the brand growth strategy. DeNicola was appointed to this role in October 2017. Prior to this appointment, DeNicola served as Senior Vice President of Membership Development for Better Homes and Gardens Real Estate, overseeing franchise sales and mergers/acquisitions efforts for the brand since 2013. During his tenure in this role, the brand more than doubled its franchised office count and expanded to sixteen new states and the Bahamas. Prior to joining Better Homes and Gardens Real Estate, DeNicola served as National Vice President of Franchise Sales for Coldwell Banker, overseeing the brand growth and mergers/acquisitions strategies in both the United States and Canada. DeNicola has served in a variety of sales and operational roles for Realogy Franchise Group since 2004. 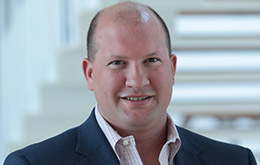 DeNicola earned his bachelor’s degree in economics from Fairfield University, Fairfield, CT and holds an MBA from Fairleigh Dickinson University, Madison, NJ. DeNicola resides in Chester, NJ.